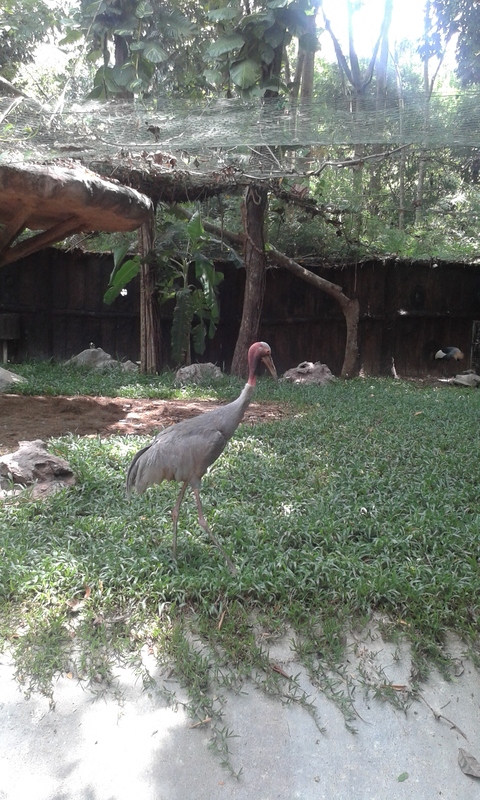 A 5 foot tall stork at the Night Safari: I don’t normally take photos of wildlife, but this one reminded me of Kevin from Up. We leave this morning for Mae Sot where we will be working with the Charis Project Our time in Chiang Mai has gone by quickly but we’ve definitely made the most of it, acclimating to the culture, getting documentation started and seeing the sites around Chiang Mai. In my last post, I shared about the process of filling out paperwork for the Work Permit and picking up our truck. This week, I took the truck in to have it inspected. I have to say that this was the first time in my life that I went to a mechanic and they told me that nothing was wrong with the vehicle. I did go to a dealership, but still, I still can’t believe it. My work permit will be complete on the 29th. Once I come back to Chiang Mai to pick it up, I’ll be able to put the truck in my name. The work permit will also allow me to write about my work with the Charis Project on this blog and other social media. So that’s good news for our awesome readers. 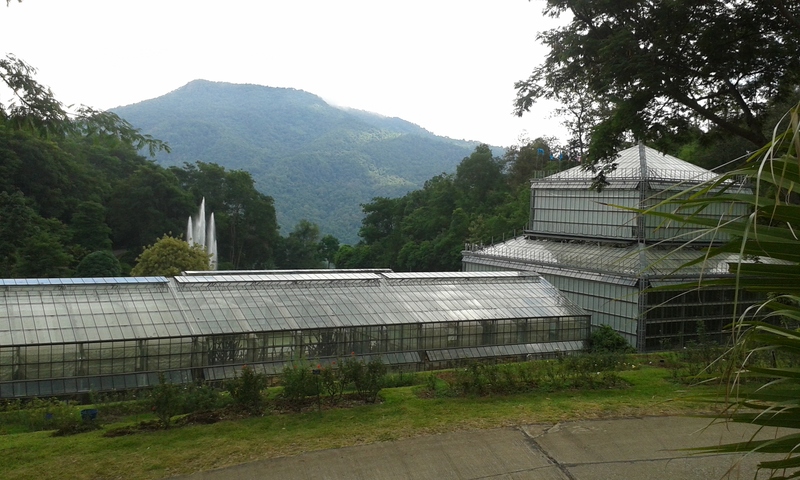 Queen Sirikit Botanic Garden: Every view of this place is breath-taking. We’re starting to understand Thai cuisine a bit more. The most common meats here are pork and chicken, but fish is popular as well. Rice is served with EVERY meal. Meat plays a larger role in the big city cuisine than in the villages (or so I’m told) and I am very much looking forward to village cuisine. After all the rice and meat from eating out, I feel like I need a detox and veggies sound like just the thing. Also, since yogurt is not very affordable here, I’m planning on fermenting some carrots once we get settled in Mae Sot to help boost our immune systems and get our guts a bit more healthy. A giant fount in the background with dozens of variety of lotus behind. I wish we could have spent more time at the gardens. We had some amazing trips to some very beautiful tourist destinations (see photos). The first one we went to was the Chiang Mai Night Safari, which is literally down the street from where we have been staying. Contrary to the name, it is open during the day. It’s sort of a cross between the SD Zoo and Wild Animal Park but smaller. Most of the animals we saw there are in the Zoos back home. What stands in stark contrast though, is that many of the animal exhibits are easily accessible by us, the visitors. The turtle exhibit had no barrier and was just a foot below the walkway. It was very difficult to not step down and pet the turtles. They look like clouds, but it’s actually limestone. A true natural wonder. This seems to reflect a difference between American and Thai cultures that I’ve noticed: we make laws and rule to limit and regulate everything while Thais, whether a law exists or not, tend to allow people to use their common sense. In fact, while I was here in October at a waterfall, a sign next to some slippery rocks read, “the ground is slippery, please use common sense.” There was no need for a waiver to be signed or rails to be installed. Everyone in Thailand knows that they are responsible for themselves. There are pros and cons to this, and I don’t think this is the venue to discuss this, but I really appreciate the Thai perspective on this. 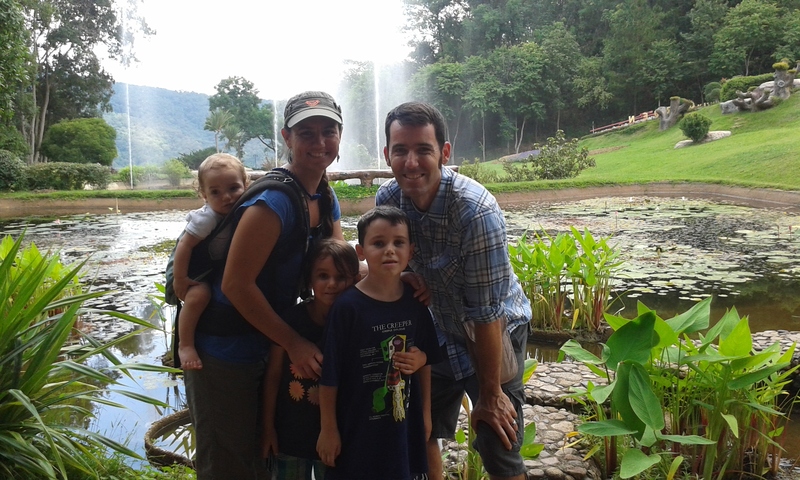 The second place we went was Queen Sirikit Botanic Garden north of Chiang Mai. It was a perfect day to go. The land is huge, nestled in the hills. The entire landscape is tended to and there are a plethora of different plant species to see, all native to the area. We also saw some more specialized exhibits in their greenhouses. Seeing all the greenery, not just at the gardens, but everywhere we go, leads me to believe that the larger part of Thai culture really understands how connected they are to the environment. As Americans, we tend to isolate ourselves from the wild and form concrete (literally) cities, as though we are trying to deny our true nature. It is refreshing to live here and know that I will not be able to not be connected to the land. 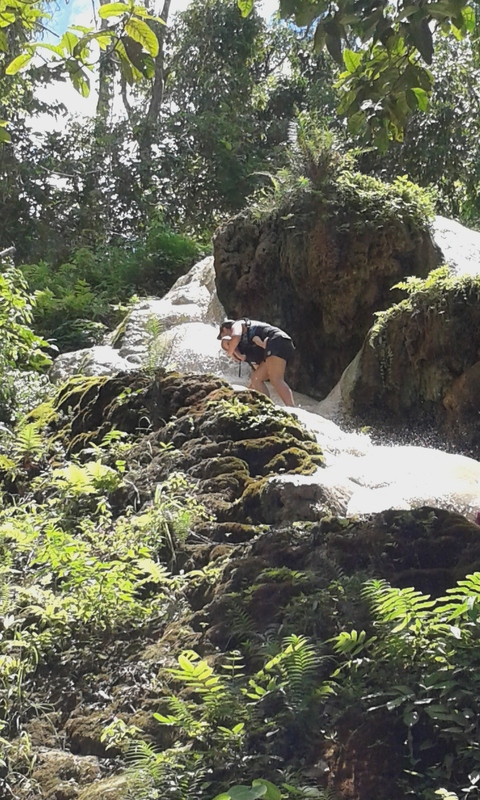 My adventurous wife taking the wee one for a stroll up a waterfall. Finally, yesterday, we went to the MOST AMAZING waterfall I’ve ever seen. Over I-don’t-know-how-many years, limestone deposits have formed some amazing rock formations. Even more amazing is that you can walk up them without any difficulty. 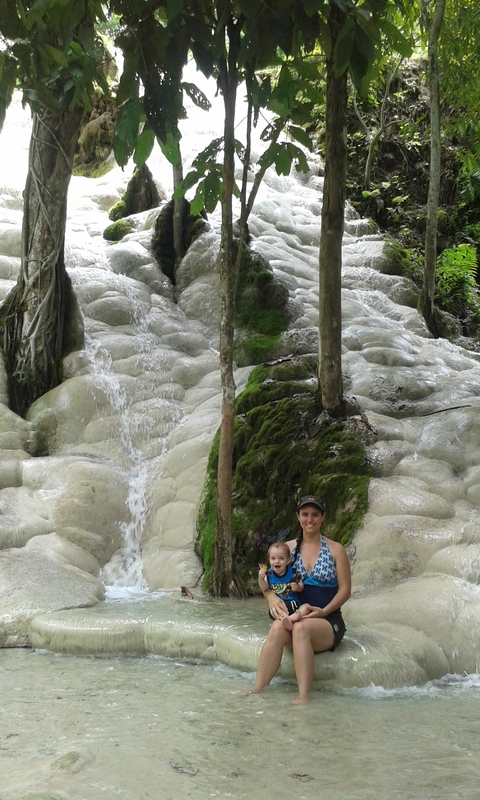 My five year old was able to scale a waterfall and my wife even took our 1 year old up in a sling. We had an amazing time climbing and enjoying the refreshing coolness of the water. A perfect end to our time in Chiang Mai. And so now, we travel 6 hours south and west toward Mae Sot to see what or future holds. Doing It Ourselves: The Good Life. 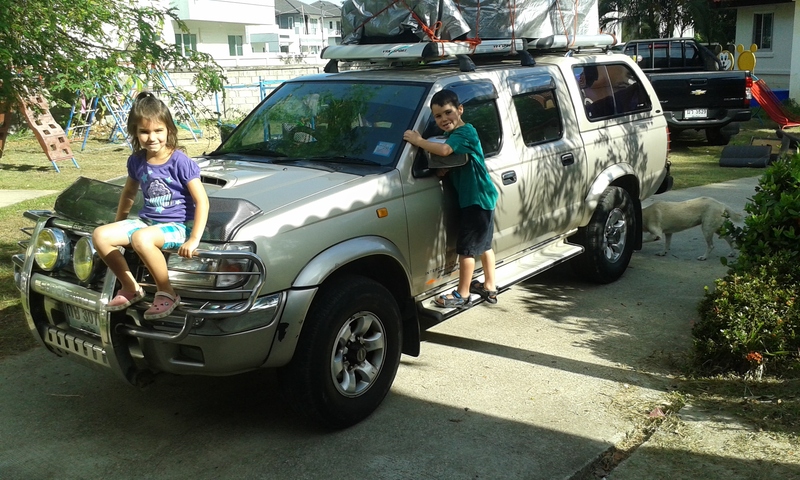 All packed up: Mae Sot or bust! Lord get us there in one piece.